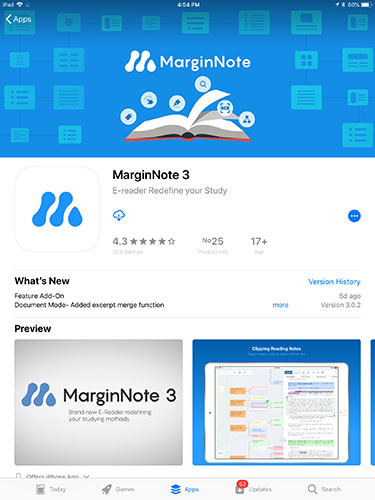 Integrating powerful tools for book annoation, mindmapping, flashcards and more, to build up your reading notes as never before. Featured in the App Store! 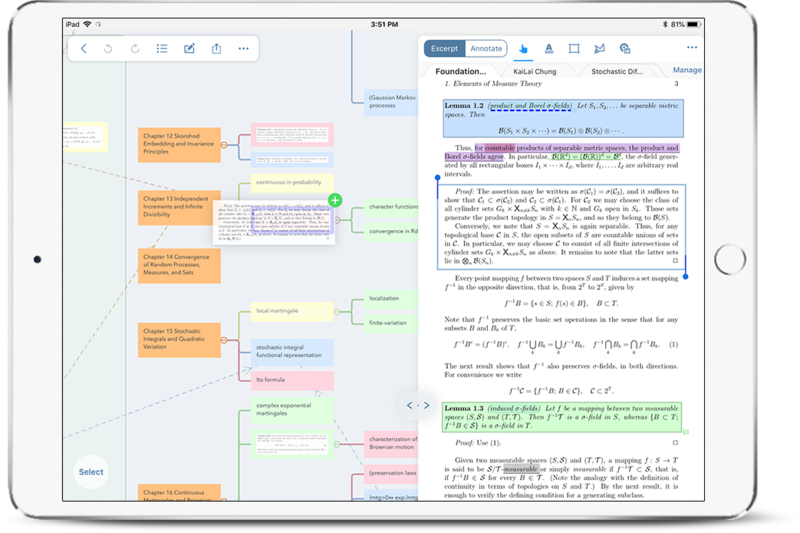 Document for book management and light read-annotation; Study notebooks with a full set of toolkit. Easily create a note by select of book text. 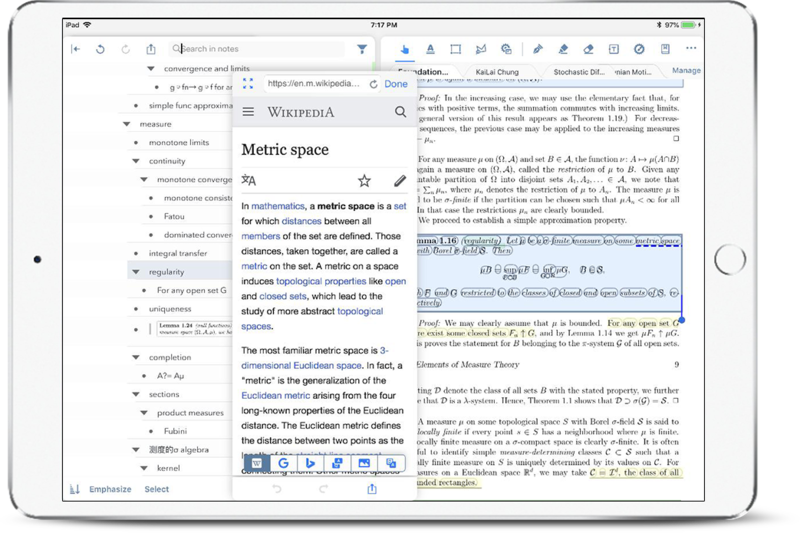 Emphasize text keywords and instant access to built-in research browser. 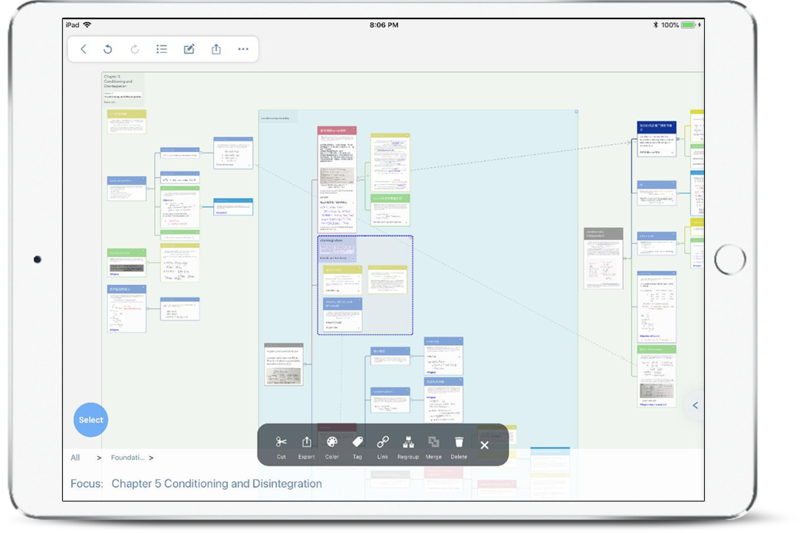 Regroup and merge notes, linking and re-mapping the way you want. 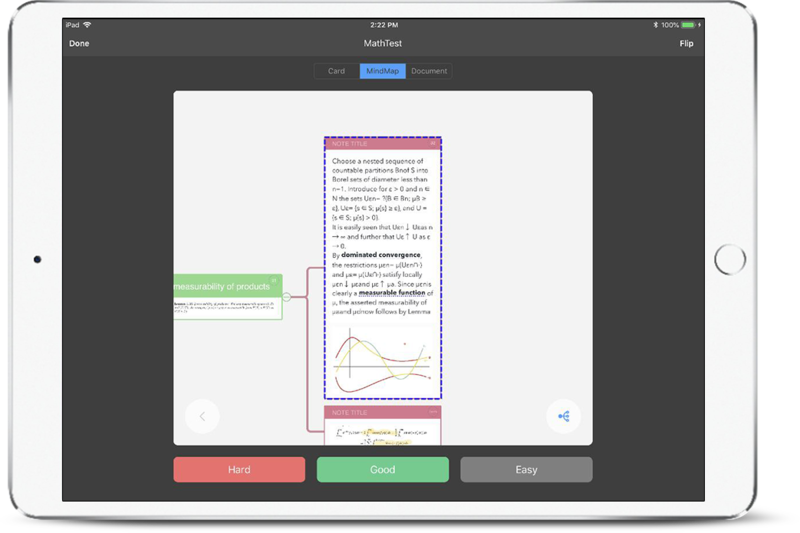 Turn yours notes into flashcards to study wherever you go. 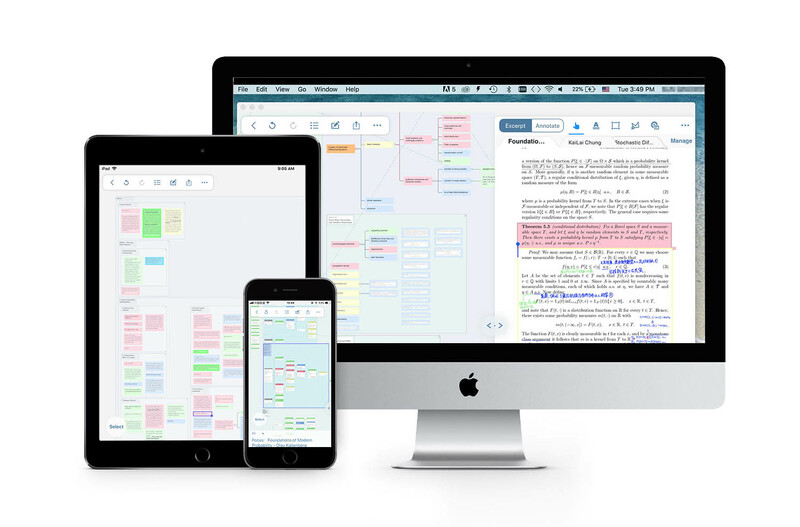 MarginNote is available on Mac, iPad, and iPhone, and they all have almost the same features. 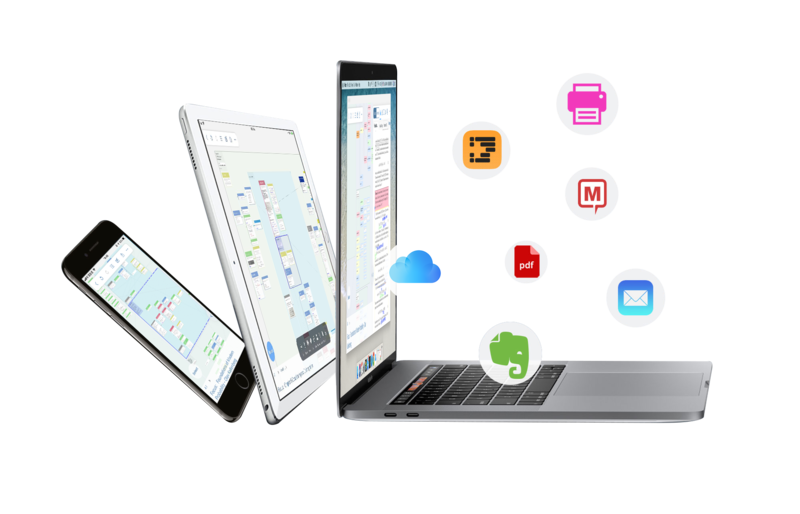 All content will be automatically synced when switching from one device to another with iCloud enabled. 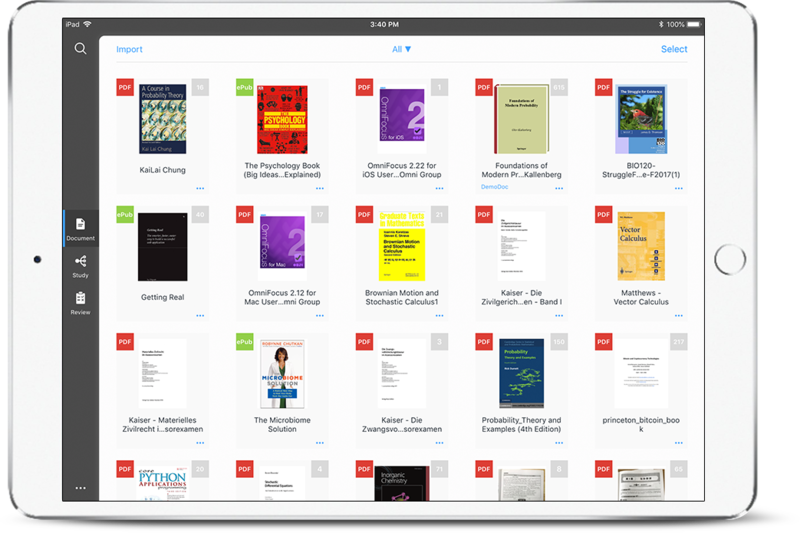 MarginNote even supports Wifi transfer – so you can one-click sync multiple notebooks & books or the whole library.